Intro: For years my favorite people in the world (next to my kids) were the tutors in the Writing Center at Union College in Schenectady, NY. I just got an email from one of them, Charlie Agar. Years have passed and he is now entirely grown-up. [You are, right, Charlie?!] He is walking to fight Alzheimer’s and asks for my support. Funny how lives criss-cross. These days I tell stories to nursing-home patients with Alzheimer’s, and every Sunday I sit with a woman in her home so her husband can go to church. Here is a story I wrote about those Sunday visits. It’s sad. Maybe next time I should post my story about the international gopher museum–not sad in any way at all. Not to forget…to support Charlie, go to http://memorywalk.kintera.org/hays10/alzcare274. I sit with her on Sunday mornings so her husband can go to church. For more than thirty years, they used to go together. Often she would be asked to speak during the service. “She was the smart one,” he says. Now he goes alone. An RV rusts in the side yard. When she and her husband first learned of her future, they traveled round the country to make the most of whatever good time she had left. Inside the house, old-fashioned crafts, cookbooks on a kitchen shelf, photos of her children tell me of the woman she used to be–photos of her grandchildren of joys she can never experience. She is too young, not much older than I, to be suffering from advanced Alzheimer’s. She can’t walk, can’t even change position in her bed or recliner. She can’t dress herself or feed herself. She can’t speak. She’s been this way for years. Every Sunday, before I come, her husband bathes her, dresses her, feeds her, and props her up in her recliner or lays her back in her hospital bed in the living room. And when he goes, I sit in the chair beside her. I read or knit, recite poetry aloud, or tell her stories. Usually she ignores me. Sometimes she looks at me as if puzzled, as if to say, “Who are you and why are you here?” Sometimes she seems enraged and I stop whatever I’m doing at that moment or resume whatever it is I stopped doing or just get back to my reading or knitting. She never looks happy. She never smiles. Sometimes I stroke her forehead and cheek for a short while. She may close her eyes. Once, when I stopped, she drew the back of her hand to her cheek as if to stroke her face herself, but mostly she lies quietly, apparently indifferent. Sometimes she gets angry and I draw my hand away. And she never smiles. It is quiet these Sunday mornings. Her husband leaves the radio playing softly, oldies mostly. I don’t think she pays attention. I have a quiet time to read the Sunday paper, to catch up on unread books, to knit for hours without interruption. One small detail about this routine is odd. Every week for all these months, I find myself singing to her, singing the same song, in French, no less. Surely I would at least sing a song likely to stir some old memories in her ailing brain. 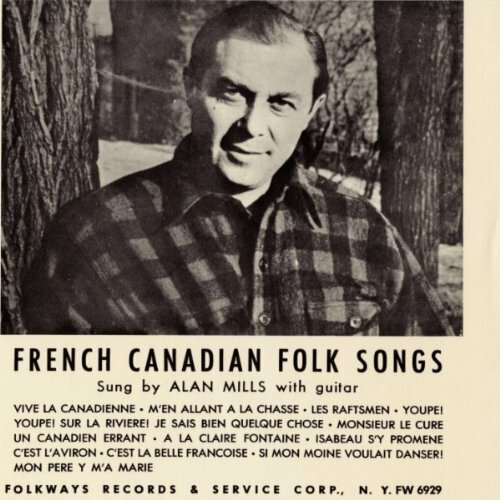 But no, I sing a French-Canadian folksong that I learned decades ago in French class. Heaven knows my voice is flat and off key. When my children were little, they used to beg me not to sing. Still I sing this old folksong every week. She looks my way, or ignores me, or gets angry. If she looks angry, I stop. She doesn’t smile. “Ah, si mon moine voulait danser…un capuchon je lui donnerai….Danse mon moine danse, tu n’entends pas la danse, Tu n’entends pas le moulin lon la, Tu n’entends pas le moulin marcher. Why on earth do I sing it? After all, it’s just a light-hearted song about a girl tempting a monk to dance. One night I woke up in my own bed, finally understanding what the song means to me and why I sing it. I have thought of myself as a bystander to her troubles. True enough, little is asked of me when I sit with her. But I am not merely knitting the morning away so a husband can have a break. I am affected too. It occurred to me that I’ve been singing the song for myself. I ache for a woman unable to know either the pleasures of life, like the music of the dance, or the work of life, like the sound of the mill grinding grain for a village. Over and over again, I invite her to dance and mourn the reality. She cannot. She can’t even smile. And I care. I’ve decided—I shall make a card to carry with me as long as I have my wits about me. On it, I shall write, “Hear the dance.” And I shall remember to smile. This entry was posted in Uncategorized and tagged senior, storytelling, writing by Margaret French. Bookmark the permalink. Thank you Pat. So glad you’re following my blog. Sigh, such poignant story. I love your ending, which gives me a positive thing to do. Thanks Kate. Looking forward to seeing you at Judith’s workshop. A sad story, but wonderfully told. My dear mother suffered with dementia, but at least she was in her seventies and was able to enjoy her grandchildren and get to know some of her great-grandchildren. I recently reviewed Jan’s Story by CBS correspondent Barry Petersen. It’s about early onset Alzheimer’s and it is truly heartbreaking, as well as raising issues that most of us never think of, and, please God, will never have to deal with.